Thread: Modern Caterham Rear Kickup Angle? Has anyone seen a specification for (or measured) the angle a modern Caterham rear kickup makes with the ground plane? I'm including a modified version of an image recently posted by Mike in his Brands Hatch thread because it illustrates the question perfectly. In this case it's a Caterham 420R in the photo. Hmmm - never noticed that before. I think it is partly an optical illusion as I am taking the photo looking uphill so the angle is accentuated. Here is another Caterham from the same fleet parked on level ground. Does not look as much angle but there is still some. Perhaps only a styling geek like me would care, but it is a feature to some degree in all the Caterhams and many sevenesque clones too. Here are 2 examples of Caterhams. One is from your thread and one is an older Caterham, which is taken from a company publicity photo. I think it ads a lot of personality to the rear view. I like the Caterham example (top rail slope/curve too). I'm doing something similar to my Locost based on a 25 degree angle, which is close to the kickup on a New Zealand Leitch 7, but wanted to see how that compared to the modern Caterham setup. If I can get the actual Caterham angle, I'll likely change my design to suit. Here are 2 examples of Caterhams. 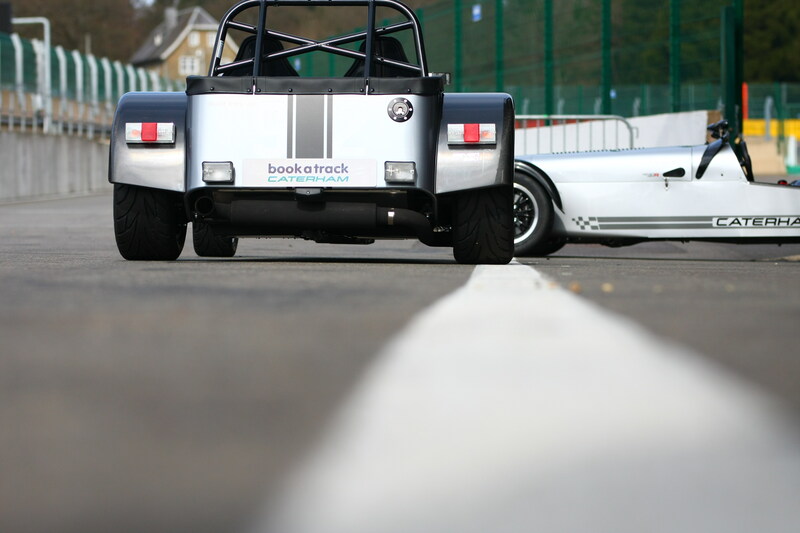 One is from your thread and one is an older Caterham, which is taken from a company publicity photo. Last edited by Nick O'Teen; 11-06-2018 at 10:01 PM. I'm not sure what happened there. I posted 2 images, but the links to them show as invalid now. Here is (I hope) a re-post with the images attached.